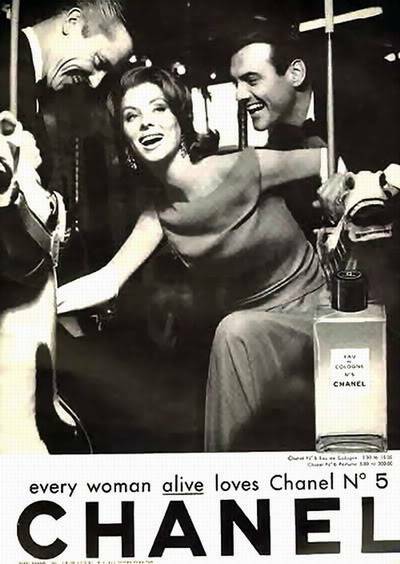 You have Nena von Schlebrugge mixed up with model Anne De Zogheb who married Paul Anka. The photo here is of Nena who married and divorced Timothy Leary and then married Buhddist scholar Robert Thurman in 1967. They have four children, the oldest being actress Uma Thurman. 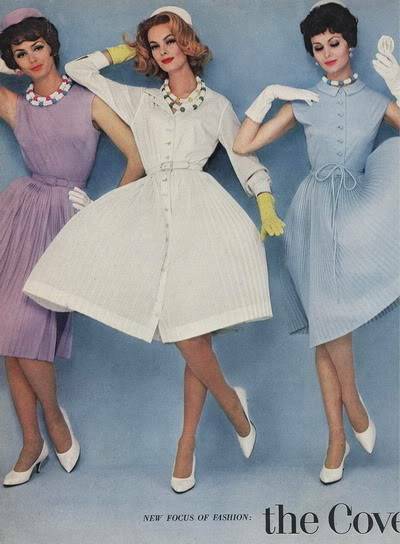 The early Sixties were a transitional period in which the trends were still influenced by the Dior New Look inspired fashions of full skirts, nipped in waists and shirtwaist dresses. Make up changed too, deemphasizing the cats eye look. 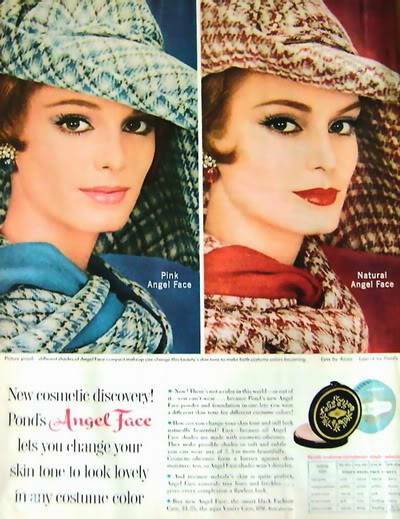 Models wore discrete false eyelashes, not the exaggerated style as worn by Jean Shrimton, Benedetta Barzini, Peggy Moffit. Marissa Barenson and Cathee Dahmen in the mid 60s. 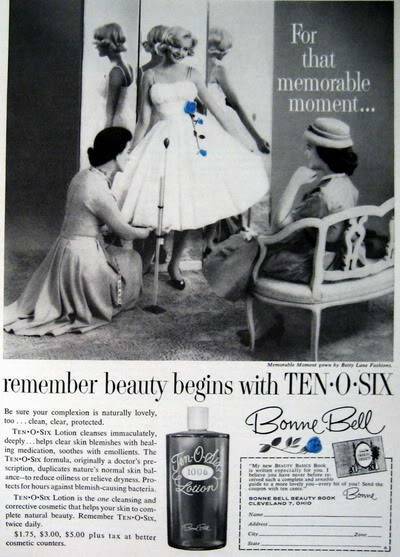 A Cover Girl Ad was assurance of name recognition and tons of work. Hairstyles featured backcombing and a lifted crown, giving a fuller look to the hair. Jacqueline Kennedy was a big influence on all age groups. In 1961, the first wave of the baby Boomer Generation were just entering their teens. 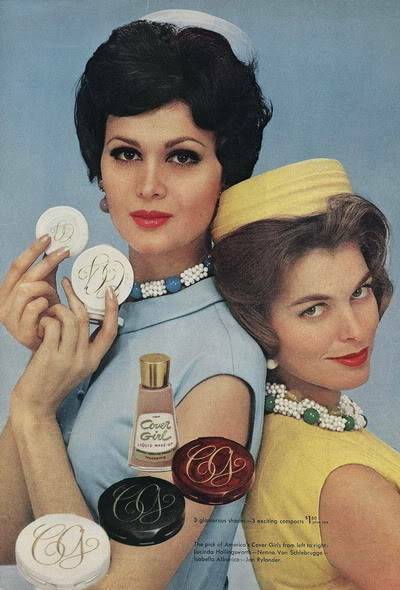 The great Class of 1964 (High School) entered into the universities and the work force and some found their way into the fashion, beauty and modeling industries. President Kennedy was still in the White House, the economy was good, we were looking ahead to landing on the Moon. Hemlines were still below the knee. 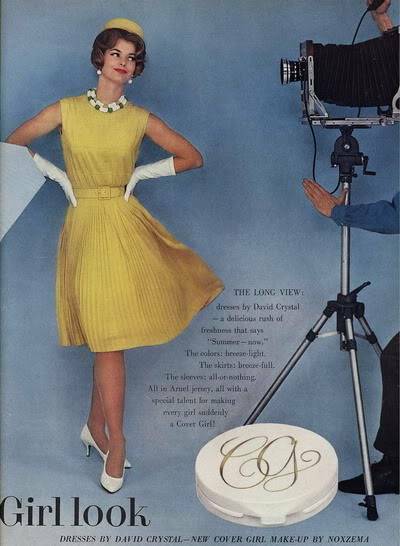 Suzy Parker was the top model of the Fifties and Early Sixties. 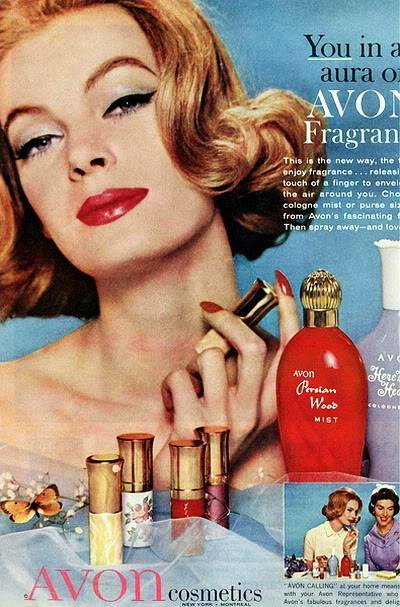 Sara Thom was one of the great beauty faces of the Sixties. 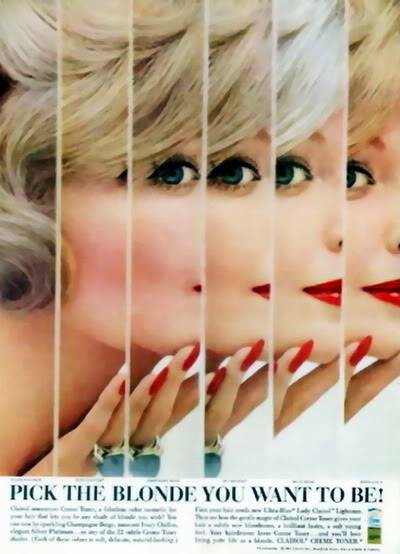 Her icy blonde perfection was featured on many top covers and cosmetic ads.